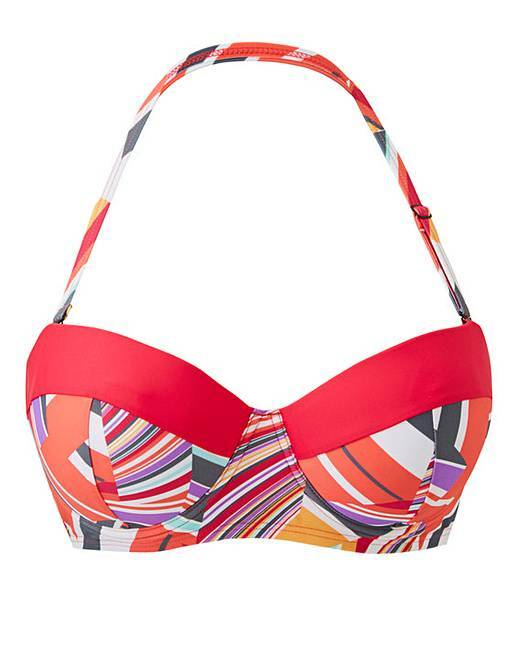 Stay on-trend in this bright geometric printed bandeau bikini top. With a removable strap for comfort and underwired support, this bikini top is perfect to wear whilst sunbathing on the beach. Pair with the matching low rise bikini briefs for the full set.